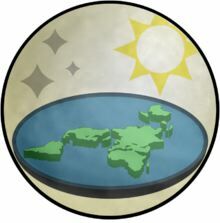 Nations, which Charles K. Johnson, the deceased President of the society, used in the above photo as evidence for his position, stating that the earth is not a round globe but a flat object. To this day, succeeding president’s of the society have held on to this same belief concluding that the earth is actually likened to a Frisbee disc floating in space. Funny! Similarly, today there are other institutions and organizations that hold on to newer ideas and “theories” leading millions of people to believe in unproven hypothetical arguments such as evolution or “Man made” climate change which approaches the “flat earth” model. Yet, these “findings” which bare the mark of a “scientific” approach, still lack concrete evidence because of the many variables involved that are necessary in any accurate equation. And even so, major flaws exist in today’s climate change model, to where school textbooks are already promoting these assumptions as though they were fact or theories, all the while, the data is based upon pseudo scientific evidence which has already been exposed by thousands of scientists as fully untrue as well as being secretly altered by a select group of “climatologists” which has been documented. Yet, in their analysis, there was no mention of the numerous grievances or the oppression of the English red coats during the Boston Massacre on King St., six years before the Declaration of Independence was declared. What will universities, the U.N. and governments use next to generate foreign aid, deception, division, more taxes, higher costs of energy and finally a plan to rule the world? Will they use plagues, and overpopulation or a ploy of a different sort by manufacturing a claim that earth is being invaded by aliens from outer space while fake photos of UFO’s are used to bring fear upon the masses in order to bring all nations together into one common bond to where numerous international agencies will use extreme hype and bogus emergencies to further the loss of national sovereignty, everywhere? All a person must do is observe how government and the mainstream media sensationalizes information while using war and the thread of terrorism to catapult the fear factor into place. Yet, the question then arises, who will benefit financially from the international plot that is widening into a global ruling behemoth, all the while, the world gravitates towards a greater and greater orchestrated power ball meltdown? It is the billionaire elite’s and the likes of Bill Gates, Warren Buffet, the Rockefeller’s, the Rothschild’s, the DuPont’s, George Soros and others who are all major players and profiteers in the game of thrones. The world is not flat after all. It is but a global sphere akin to a tyrannical global order. Flat Earth was a misinterpretation of Aristotle’s “universal plan”. The Roman Empire extended as the “Catholic Church” and used it to ward off “explorers” intent on grabbing new, undiscovered territories. Newton’s calculations have been conjured into “gravity” and this has set the standards that pretend they comprehend/justify “cosmic physics”. If the truth was known, the “flat Earth” theories would vanish as quickly as they were cultivated as cosmic physics is the opposite of what is being claimed today. My opinion is that this is a test balloon. To see how far someone can believe in something as irrational as flat earth. If people can be manipulated into believing in flat earth, it means they have been manipulated into not believing in science anymore. Way back when religion ruled our lives, and the priests were the interpreters of the religion. People judge right and wrong by divine decree as written in some religious book like the Bible, Quran, Vedas, etc. Now we live in a post religious age, The priests of the old religion are more less anacronystic. The new religion is “science”. The priests are the scientists. People try to live their lives according to some form of scientific validity. However now we are leaving in that. People are no long believing in science as a “religion”, nor do they really care what the priestly class, the “scientists” care to explain. Here is your test balloon, if you can believe the earth is flat, then you have shown that you really do not have the ability to parse through the lies, and you have been mk-ultra’d into believing something that was shown to be false hundreds of years ago. It also measures your willingness to analyze deconstruct what was presented through media (“I saw it on youtube!”). Since you have no religious anchor to live a moral life. Since you have no scientific anchor to live a rational life. What anchor do you have to life your life? No other alternative is being offered, so none will be had. So NO anchor to judge how to live a life. A person can be TOTALLY manipulated. Most Americans believe 911 was done by 19 cave men with box cutters! 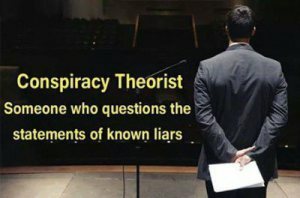 There’s a need for the big lie <<>> to lump holocaust revisionists, 9-11 ‘truthers’ and flat earthers together so that their criminal deeds are not investigated. You say Israel did 9-11? Are you also a flat-earther, anti-Semite and holocaust denier? It’s a trick. They always use it.